The 22nd issue of the Communicating Astronomy with the Public journal is out now! In this issue you will find articles exploring the value and challenges of communicating in venues we do not usually associate with science — our libraries and airport lounges — and what this can mean for outreach and diversifying our audience. The latest issue also highlights uses of 3D printing and virtual reality to bring people closer to large astronomical objects. 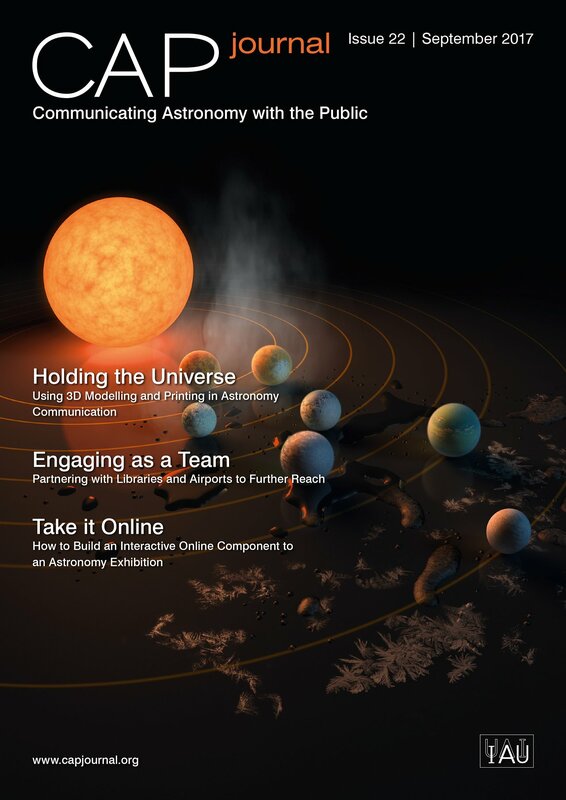 All of this, and more, is featured in this free, peer-reviewed journal for astronomy communicators — available now for free download. This product will also be available from the ESO shop.